We’d love your help. Let us know what’s wrong with this preview of Ground Lines by Matthew J. Cooper. From the moment a fellow high school English teacher finds himself caught up in a six-month old drive-by killing on the north side of St. Louis, Morton J. Caper, Ph. D. embarks on his own long journey, one punctuated by plane crashes, murder, coal mining, and--perhaps most disturbing of all--corruption in the ranks of a collegiate marching band. 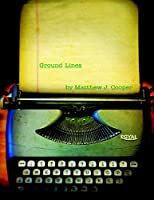 To ask other readers questions about Ground Lines, please sign up. Is it true (as this novel so darkly suggests) that steroid use is now running rampant in collegiate marching band programs?